To advance the education of the public in Scotland and the wider world about the life of Thomas Muir, ‘Father of Scottish Democracy’. To further this interest through the creation and development of activities and initiatives pursuant with the advancement of citizenship and community development, advancement of the arts, heritage culture or science. The provision of recreational facilities by providing a community cultural arts festival weekend with the object of improving the conditions of life of the general public at large. 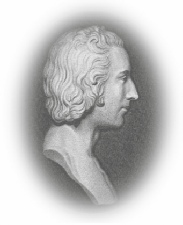 Friends of Thomas Muir is the nation's only organisation exclusively dedicated to the long-term support, development and promotion of Thomas Muir. We work actively and creatively with a wide range of schools, universities, local history groups, community groups, local & national authorities, connecting them with audiences and organisations, for the ultimate enrichment, education and enjoyment of the people of Scotland and beyond. As a member of the public, student, local historian, teacher, professor or an artist, we are committed to keeping your data secure. We will use it only in ways which meet your needs and allow us to provide efficient and effective communications with regards to events, programmes and services. We will only collect data which is necessary for us to provide you with the best communications, events, membership and services. There are two ways in which we do this: when you sign up to receive information from us, and/or when you apply to become a member. We use an email provider, Mailchimp, to store your data and to deliver our Newsletter & Updates, and regular Events and Opportunities. Our website contains hyperlinks to many other websites. We are not responsible for the content or functionality of any of those external websites (but please do let us know if you have any concerns about the websites we have linked to, by emailing info@thomasmuir.co.uk). We use specialist providers such as Mailchimp and Eventbrite to deliver our Events and Services and to send you the information you have 'opted-in' to receive. Your data will be held with them as long as necessary to efficiently undertake the administration and communication required. We use the email provider, Mailchimp, to store your data and to deliver our monthly Enewsletter, Events and Opportunities, according to the preferences you have 'opted-in' to receive. This will be held by Mailchimp until you unsubscribe. The data will subsequently be transferred onto Friends of Thomas Muirs secure servers and Dropbox. Friends of Thomas Muir is based in Scotland and we store our data within the European Union. Some organisations which provide services to us may transfer personal data outside of the European Economic Area, but we will only allow them to do this if your data is adequately protected. Mailchimp and Eventbrite are all signed up to the EU-US Privacy Shield. Only nominated members of the Friends of Thomas Muir have access to our servers which are password protected, changed regularly and changed once a member leaves the organisation. Those who have access to data receive data protection training and we have a set of data protection procedures which members are required to follow when handling personal data. We carry out research and analysis on our databases (held on Mailchimp, Friends of Thomas Muir secure servers and Dropbox) to determine the success of our Programmes and Services in reaching those with an interest in applying to or using them. This allows us to better understand behaviour and responses and to identify patterns and trends, particularly the geographical location of applicants and those who use our Services. This helps inform our approach towards our communications, how accessible our Programmes and Services are, and makes FOTM a more efficient and effective organisation. Understanding our applicants and the users of our Services helps us provide a better experience. If you have any questions about this policy or about your personal data, or would like to access your information, please email info@thomasmuir.co.uk or write to the Secretary of the Friends of Thomas Muir, 102 Crowhill Road, Bishopbriggs, G64 1RP. We hope that you never will have any concerns about FOTM collection and use of your personal data. However, if you have any complaints about an issue concerning your data protection and privacy rights, please email info@thomasmuir.co.uk or write to the Secretary of the Friends of Thomas Muir, 102 Crowhill Road, Bishopbriggs, G64 1RP.